Special attention is given next week to an event for students interested in internships and thinking forward about applying for spring or summer opportunities. Participating employers and alumni include Boston Celtics, State Street, Deloitte, Boston Medical Center, and more! The Office of Merit-based Scholarships is now accepting applications for the Comprehensive Scholarship. Awards range from $500-$5,000. Applications are being accepted until 11:59pm on Friday, November 2nd. If you meet this criteria, we strongly suggest you submit an application. Visit www.umb.edu/currentscholarships to apply! Comments Off on VIDEO ADVISING for students with 60+ credits! VIDEO ADVISING for students with 60+ credits! Please CLICK HERE to see a PDF copy of this post. Special attention is given next week as the President of the Boston Public Library stops by UMass as he discusses leadership philosophy! 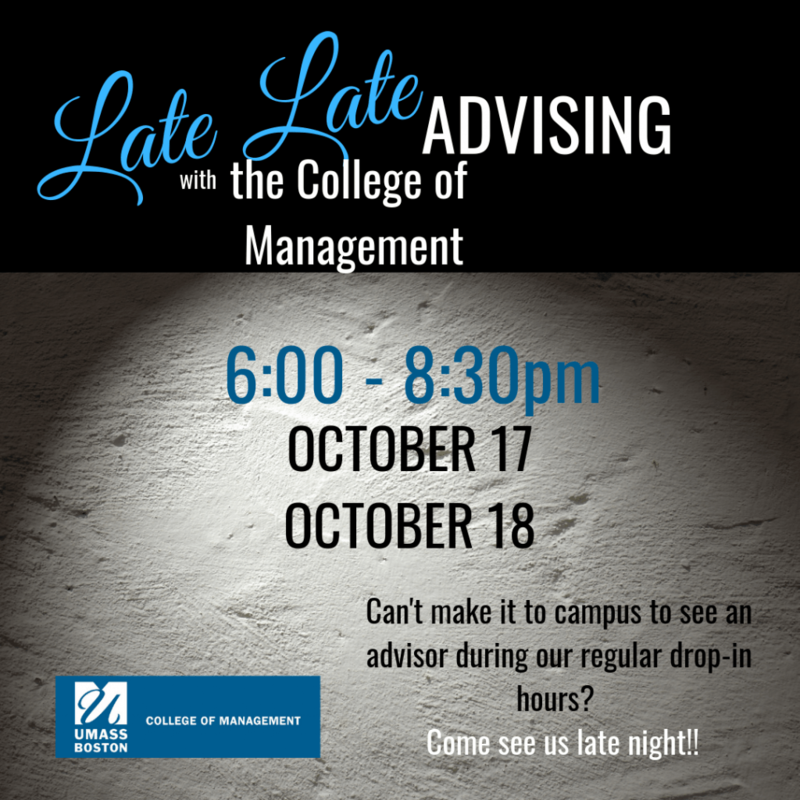 Comments Off on Late Late Night Advising in CM! 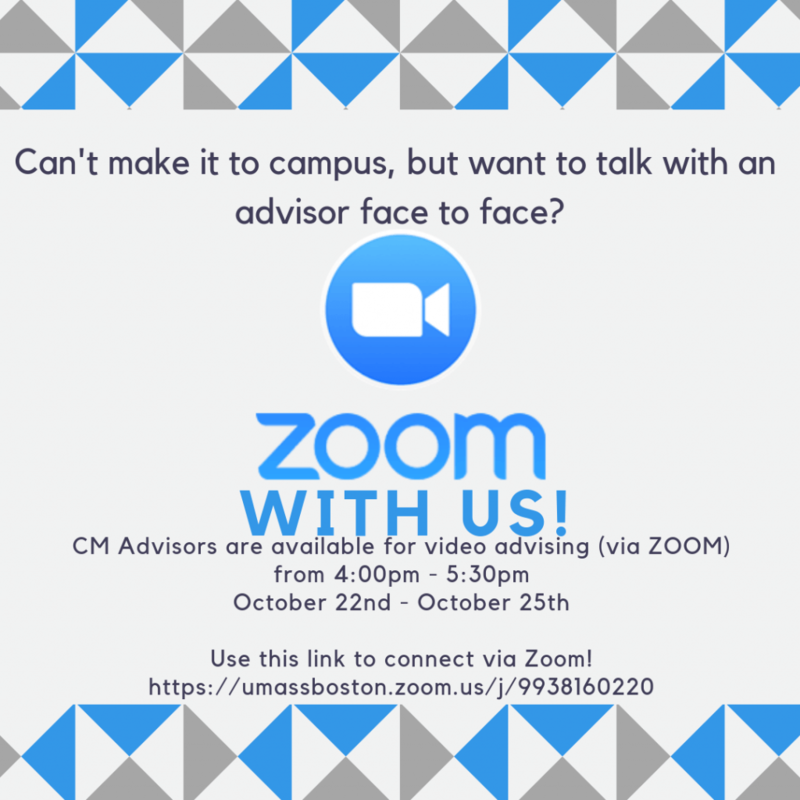 Late Late Night Advising in CM! 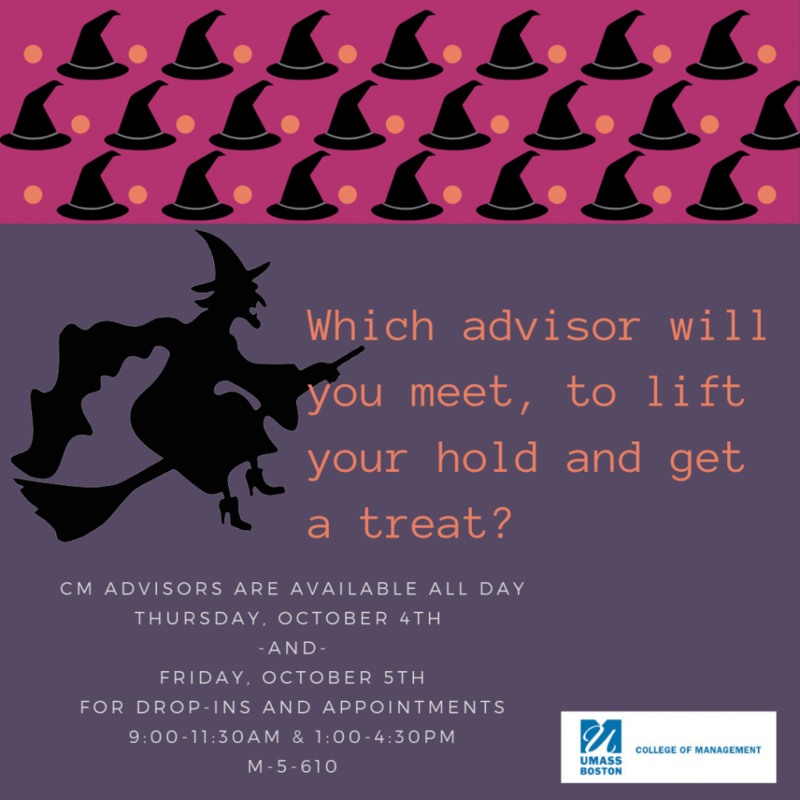 Looking to meet with an advisor and can’t come to our traditional drop-in hours?? Come see an advisor Late Night!! Comments Off on CM Students with 60+ credits!!!! CM Students with 60+ credits!!! !